The Lotus Caravans $190K+ Adventure Giveaway, in association with Pat Callinan’s 4X4 Adventures, is on now. 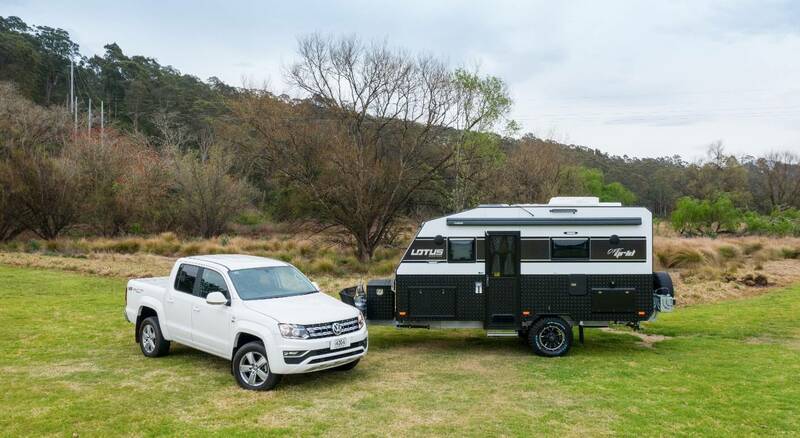 First prize includes a Lotus Caravans 19’ Off-Grid, Volkswagen Amarok Ultimate V6, $5,000 ARB Voucher, $1,000 Club 4x4 voucher plus a Pat Callinan’s 4X4 Adventures Pack. There are also five runner-up prize packs to be won, including a $1,000 ARB voucher, $1,000 Club 4X4 voucher plus a Pat Callinan’s 4X4 Adventures Pack and 2019 Big Red Bash VIP family passes. To enter, simply go to the Pat Callinan’s 4X4 Adventures website and enter your details. It’s that easy! Entries close Friday 29 March 2019. Click here to enter and to see full terms and conditions.